If you’re a fan of techno music, you won’t want to miss this. World-famous musician & DJ Marco Carola is coming to Dubai, and he’ll be performing live at Base Dubai this weekend! Known as the global ambassador of techno music, you know it’s going to be an epic night. Bollywood fans, get ready to dance all night long because it’s desi night at Inka this Friday! DJs Bharat & Chirag will be on the decks spinning the latest Bollywood hits, and ladies can enjoy free drinks until midnight. Are you game for game night? Make your way to Tribeca this Thursday to play a musical edition of Bingo! Think you can win? The games will begin at 9pm, and there are exciting prizes up for grabs for those who know their music. 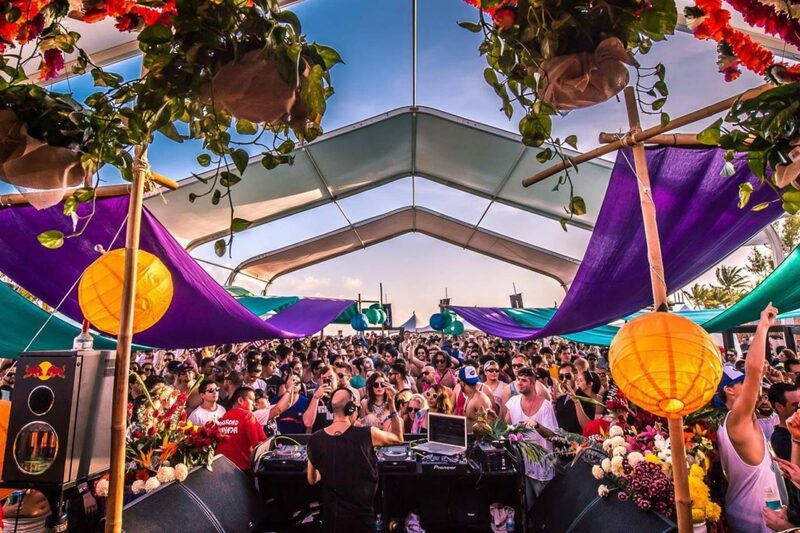 The popular All Day I Dream music festival is back in Dubai, but this time at Soho Beach! EDM fans, don’t miss the summer season opening party this Friday, with a line-up featuring Lee Burridge, Sebastien Leger and Lost Desert. Ready to salsa under the stars? It’s Latino night at Asia de Cuba this Friday, with Cuban band Cubache performing live! Ready for a fiesta? Get your dancing shoes on and vamos! It’s Australia Day this weekend, and Barasti is celebrating with a huge party on the beach. There will be BBQ, beach games, a pie-eating competition, exciting prizes and drink deals all weekend long. Calling all hip-hop and RnB fans. The award-winning Urbn night is one of the best hip-hop nights in the city, and what better way to end the weekend than with a party at White Dubai. In addition to the awesome tunes, ladies can also enjoy free drinks till 1am.